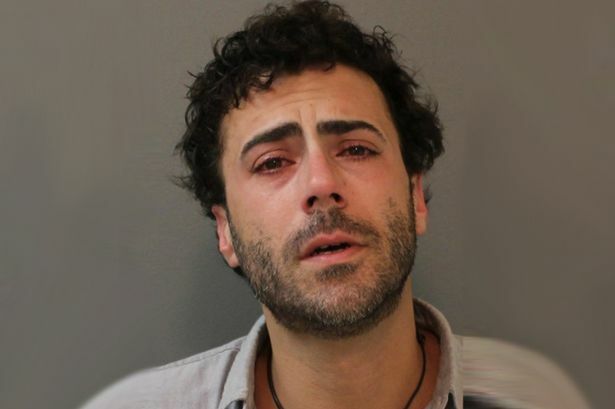 A homeless Connecticut man is in jail after giving a wet willy to a 4-year-old child. Investigation Discovery’s Crimefeed reports that 34-year-old Michael Migani has been charged with second-degree “breach of peace” as well as second-degree reckless endangerment of a child. The incident took place on Tuesday in the waiting room of an unidentified business. The 34-year-old suspect was seen putting his entire finger in his mouth before approaching the unnamed 4-year-old boy. According to witnesses, he stuck his wet finger into the boy’s ear, giving him what is called a wet willy. Ordinarily, a wet willy is considered “harmless fun,” but that is among people who actually know one another and who are usually friends or family members. The mother of the unnamed tot reportedly confronted the homeless man, who fled from the business. He was later apprehended while driving a vehicle. NBC News New York reports that 34-year-old Michael Migani was held on $500 bond, but he was eventually released. He’s now free and undoubtedly well aware that it’s against the law to touch children, whether harmlessly or not. See I don’t have children right now; Yet I get pissed off imagining some random stranger walking up to my imaginary child and putting his hands and his bodily fluid on my child. I’d of Jap Slapped the hell out of that man and subdued him to the cops got there. There wouldn’t of been a need to look for him, he right here. Because your going to have to test this sucker, I don’t want to be sitting around worried about what he could of given my child. What gave him the idea that he had the right to touch that baby, then again that’s why as a parent you keep your children close. Maybe he wanted to make that point to you, who knows? ← Ferguson, Mo Declared "State of Emergency"